Hey there. Welcome to a new challenge at Little Red Wagon. 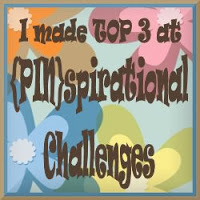 This week our hostess is Imke and her theme is "SHINE, IT'S YOUR DAY! This is her way of wanting to see something that shines on your make ~ light bulbs, glitter or something sparkly. 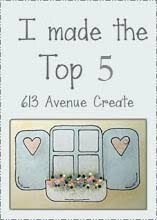 I found the perfect set from Kraftin' Kimmie stamps for this challenge called Let Your Light Shine and made a shaker card. Patterned paper is Lawn Fawn Rainbow Plaid. 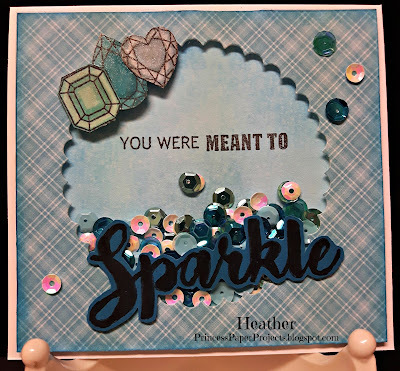 Sentiment and gems are from the stamp set all fussy cut and popped up. Sequins are from the dollar store. Card size is 4" x 4". Thanks for dropping by. See you again soon. Have a great Wednesday! Ooooh, a shaker! I love shaker cards! Such a perfect sentiment too. Heather, this is soooo perfect! I'm with Janice, I love shaker cards! 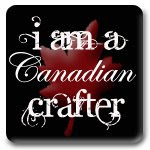 But doggone it, when I'm making them, I nearly always for get to layer that acetate:). 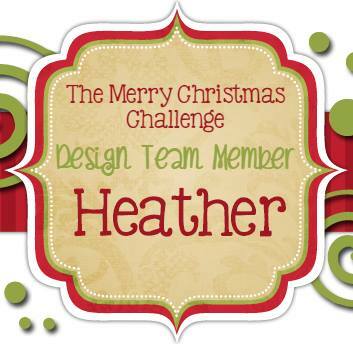 You rock my Challenge Theme with this Sparkle Card, Heather - love it !! Such an awesome card!! Your sparkly gems look fabulous and the sentiment is just perfect for the design and theme of your shaker card! !